The Roto Grip Berserk is the latest ball to go through our battery of tests. As usual, keep in mind that the coverstock will account for 70% of ball reaction while the core characteristics and drilling will dictate the shape of the reaction. Generally speaking, the intent of these layouts will be to get into an medium roll and have a medium transition at the breakpoint with medium flare and good length overall. This ball was instantly non-stop striking on the house shot. This ball will excel on medium conditions. This is a mid-line ball with a midling price point. Really not a whole lot to complain about there. If you get the kind of use I seemed to get out of it, you could consider a higher value. The Berserk uses the Caliber core used in the Outlaw and Bandit. It’s a symmetrical core with an RG of 2.57 and differential of .048. This will naturally be a core that allows for good length with strong backend motion. The “squarish” core creates a defined move and heavy roll. It rolls very similarly to the Triliptic core in the Critical Theory, in terms of hook shape, although the Triliptic rolls heavier with it’s lower RG. Roto Grip and Storm get a huge benefit of the doubt in terms of hybrid coverstocks given the hugely successful history there. The 65MH is another hybrid. I’ve always found that the Storm and Roto Grip hybrids are more than the sum of their parts, meaning they offer the relatively good control of the solid while offering the strong move of the pearl, tending to show more overall strength than the solid-only and pearl-only counterparts. 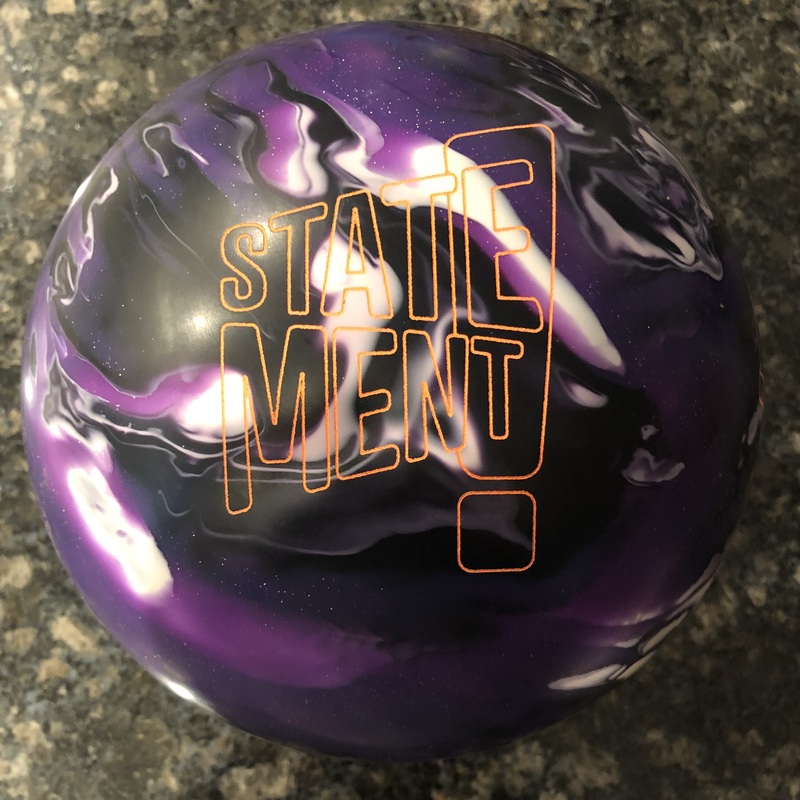 I would not say this ball is stronger than the Outlaw which has now been discontinued, but it definitely offered more control than the Bandit while maintaining a strong backend move. Firstly, let me say that I will try to contain my bias towards this core. I really liked this core motion in the Outlaw, which offered excellent control and a strong backend motion. To be fair, I also found the Bandit less to my personal liking as the cover and core combination made it difficult for me to control the breakpoint. So where does the Berserk fit in? Well, I can say that it offered reasonable length first of all. It comes out of box at 4000 abralon, but looks a bit shinier than that. After that, I saw a very consistent, predictable move on the backend… and a big one at that. Basically, you have a pretty rolly core. So what you find is that although this is a higher RG ball, you find a ball that basically rolls well, and turns over very predictably. It seems to allow just the right amount of continuity through the pins. There are some balls that drive harder, but those tended to leave 8 and 9 pins. Not so much with the Berserk and the Caliber core. I don’t recall throwing any 8s or 9s yet. It comes in to the pocket and rolls relatively true. 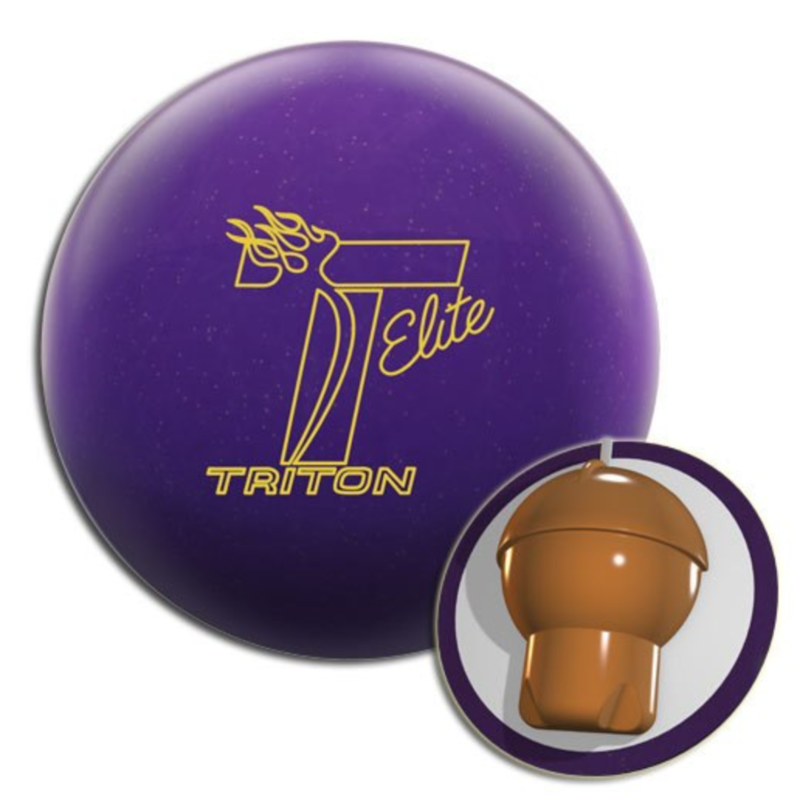 That allows it to deflect just the right amount to go through and have effective pin carry. When compared to the Critical Theory, it rolls similarly, but not quite as heavy. They both make predictable motions when it comes to the hook and roll phase. The both roll very true. The Critical rolls a bit heavier. The Critical Theory at 4000 grit out of box actually looks to be grittier for some reason than the Berserk. It’s of course a stronger ball overall, but they are extremely good compliments to each other. I don’t want to call them skid-flip, but there is a defined move that you can easily visualize. 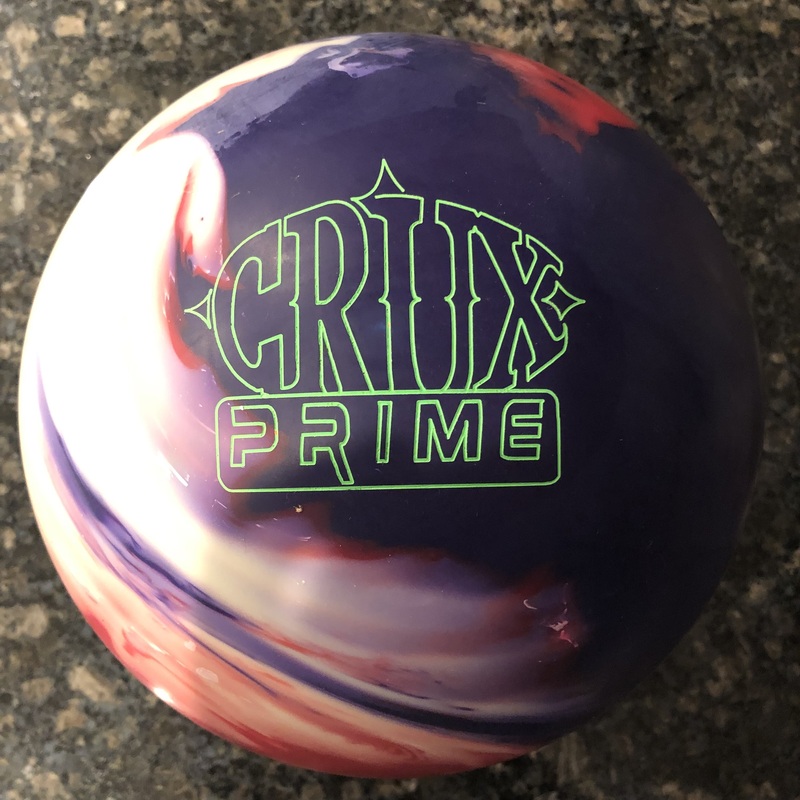 So if you could imagine a ball with an extremely predictable hook-set motion, the Roto Grip lineup currently offers that. The Critical Theory would be the top end and the Berserk is a perfect compliment. Very similar overall shape, but some added length with a similar backend hook. Basically, the Berserk cover and core allow the ball to react a bit later down lane, but have similar reaction to the Critical Theory. A further step down would be the Rising Star, simply adding to the formula of later reacting, good breakpoint control, but slightly less board coverage. 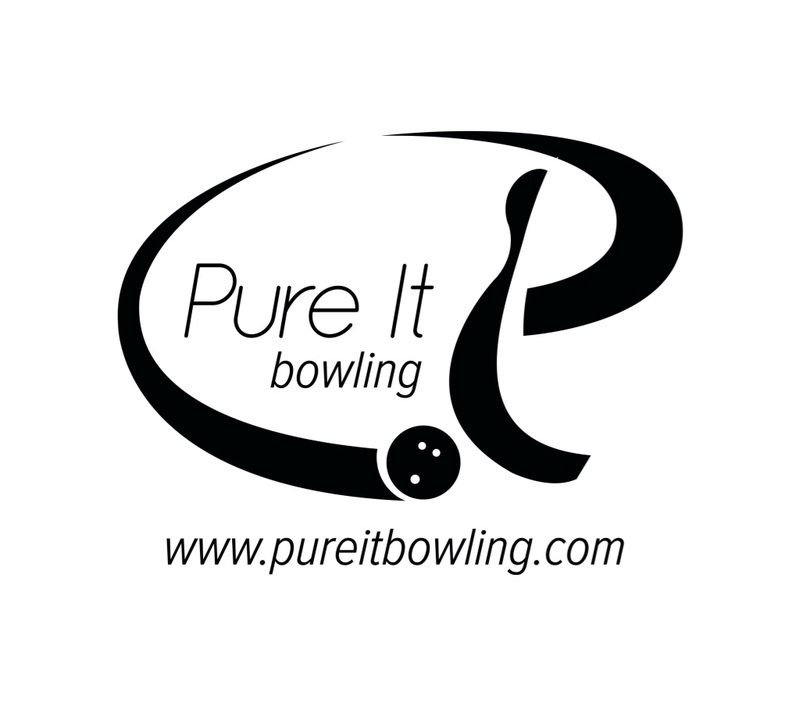 On the sport pattern, 2012 USBC Open, this ball was extremely difficult to use on fresh. In the out of box finish, which frankly seems shinier than 4000 abralon, the ball was too over/under and couldn’t control the breakpoint as well as it did on the THS. Mind you, Main Street is 41 feet while USBC is 39 feet. On the other hand, this is where the Critical Theory shined, easily offering excellent control at the breakpoint. Once broken down a bit, the Berserk starts to come into play. The Digitrax Analysis will show you how strong the Berserk is on these medium conditions. 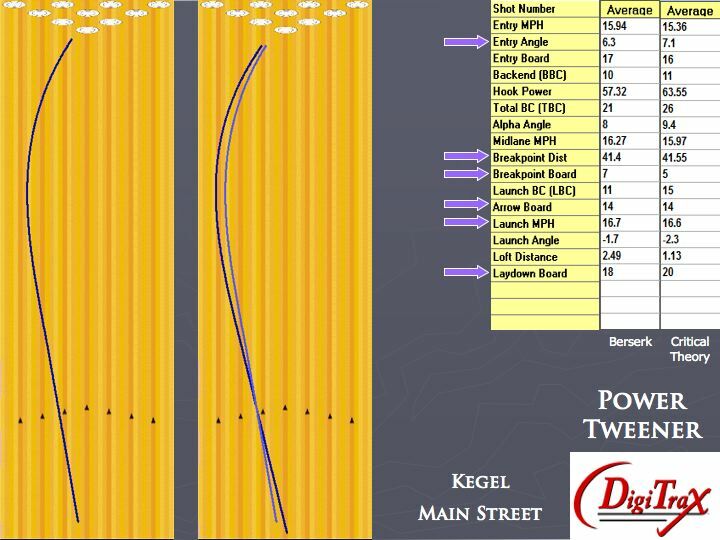 On Kegel Main Street, it offered over 6 degrees of entry angle, while still controlling the breakpoint well. When compared to the Critical Theory, you can look at the Hook Power numbers for relative strength. The tricky part of course is that very strong balls like the Critical Theory don’t always show how much stronger they are on lower volume patterns since early friction eats into the overall hook power. However, the Critical still created strong entry angles on this pattern which is does so well. 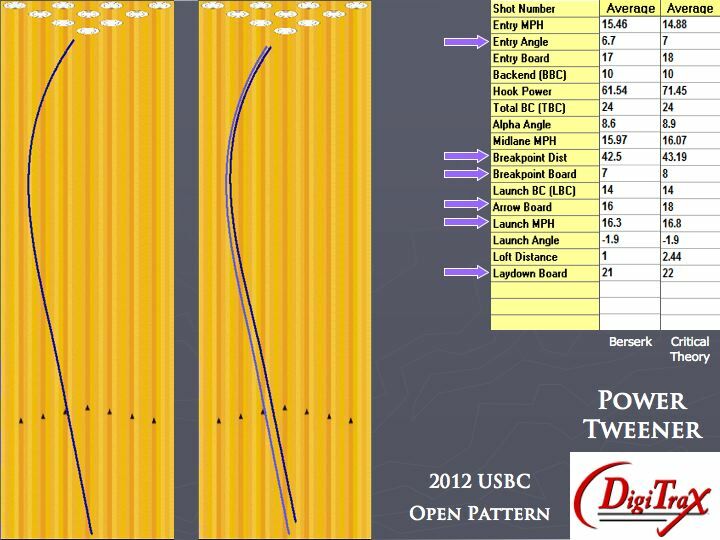 You can also the the general difference on the USBC Pattern where again the Berserk is a bit weaker. Here, they got very similar ball reactions, which means that as you break down the pattern with the Critical, you can then ball down to the Berserk and get the same overall ball reaction. 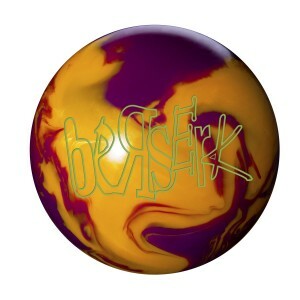 The Berserk is going to be the ball that’s very usable on your typical medium conditions. It’s consistent breakpoint control makes it a very good option on most THS that you will face. You will have an option to wheel it or play down and in, it will be quite versatile. For fresh sport shots, it’s clean front reaction and strong breakpoint will make it difficult to control until the shot breaks down a bit. If you really liked the Outlaw but at times found it to be too much ball for your house shot, then odds are the Berserk might be just right.